When sister and brother, Kate (Darby Camp) and Teddy Pierce (Judah Lewis), try to catch a glimpse of Santa (Kurt Russell) on Christmas Eve, they find themselves on an unexpected journey to save Christmas. Christmas just wouldn’t be Christmas without a slew of fresh festive films. As welcome as those movies are, many fail to join the ranks of the true crimbo classics such as It’s A Wonderful Life, Home Alone and, of course, Die Hard. Netflix’s Christmas movie, The Christmas Chronicles, is an exception to this trend. 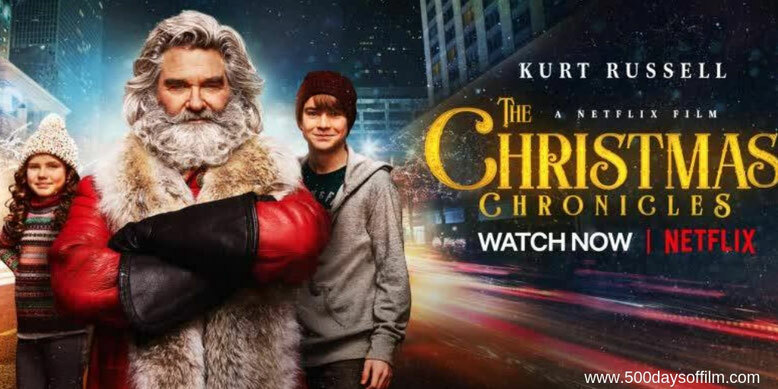 What begins as a generic, seen it all before (and done better) story takes off - literally - with the entrance of Kurt Russell’s brilliant portrayal of Santa. He is reckless, grizzly and not particularly “nice” to the two stowaways - Kate (Darby Camp) and her older brother Teddy (Judah Lewis) - that he finds hidden in his sleigh. However, his phenomenal memory for the children he has visited and the presents they wished for is enough to inspire a sense of feel good magic. For various reasons, Santa, Kate and Teddy have to save Christmas (of course) and protect the world’s dwindling supplies of Christmas spirit (of course, of course). This sends them on a number of adventures that, once you give yourself over to the ridiculousness of Clay Kaytis’s film, are actually rather fun to watch. However, The Christmas Chronicles does risk falling between two stalls. Younger children could struggle with the film’s themes of bereavement and with seeing (in a bonkers but brilliant scene) Santa thrown into jail on Christmas Eve. Meanwhile, older kids may be turned off by the movie’s Minion-style CGI elves. Let's face it, without Kurt Russell The Christmas Chronicles would be just another cheesy, predictable and largely forgettable festive flick. Thanks to his wonderful performance, Elvis swagger and yet another fabulous beard, I am a true believer. Have you seen The Christmas Chronicles? If you have, what did you think of this Netflix movie? Let me know in the comments section below or over on Twitter. You can find me @500DaysOfFilm. However, I love Kurt Russell's Santa (and Mrs Claus of course! ).